We have been informing and supporting thyroid patients for 19 years and are glad to have you join us. 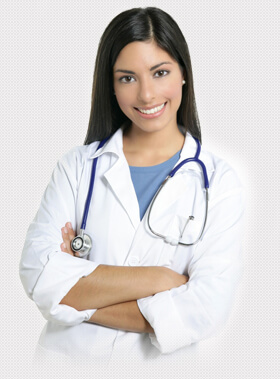 Working with physicians, we help you understand thyroid illness, receive appropriate therapy, recover, and stay well. We are keeping you up-to-date about new research findings, ongoing clinical research projects, new thyroid books, and other patient and physician thyroid organizations. We will also keep you informed about thyroid-related disorders that may affect you and your family. We maintain accurate and up-to-date lists of thyroid specialists in the USA and can provide you with a list of physicians in your area. All physicians are board certified thyroid specialists and registered members of either the American Thyroid Association, the Endocrine Society, or the American Association of Clinical Endocrinologists. These notes describing published research studies were prepared by Robert D. Utiger, M.D. from summaries of original research articles. Have You Checked Your Neck? Joan Shey and the Light of Life Foundation are raising awareness for thyroid cancer by urging people to do just this. TFA is supporting this important campaign. TFA recommends that you stay on whatever brand of thyroid hormone that your doctor prescribes. Give us your experiences if you do change your medication. Are you at Risk for a Thyroid Problem? Prevalence and Prevention of Thyroid Disease in the U.S.
4.1 million men and 8 million women have either hyper- or hypothyroidism that is unrecognized and untreated. We do not intend to take the place of your relationship with your personal physician who is familiar with your overall health and can examine you and test you regarding your thyroid problem.